Having won the last two rounds of the FIA World Rally Championship in Finland and Germany, Ott Tänak and co-driver Martin Järveoja are aiming for a hat-trick of wins on this weekend’s Rally Turkey. Having also won in Argentina, two more recent wins have given the Toyota Gazoo Racing Yaris WRC driver a shot at the WRC title. With four rounds remaining, and a maximum of 120 points available, Tänak is third in the drivers’ standings – 13 points behind second placed Sébastien Ogier and 36 points behind leader Thierry Neuville. The Estonian will also start behind both his rivals on the new and unfamiliar rocky gravel roads of Turkey, possibly giving him a very slight advantage. 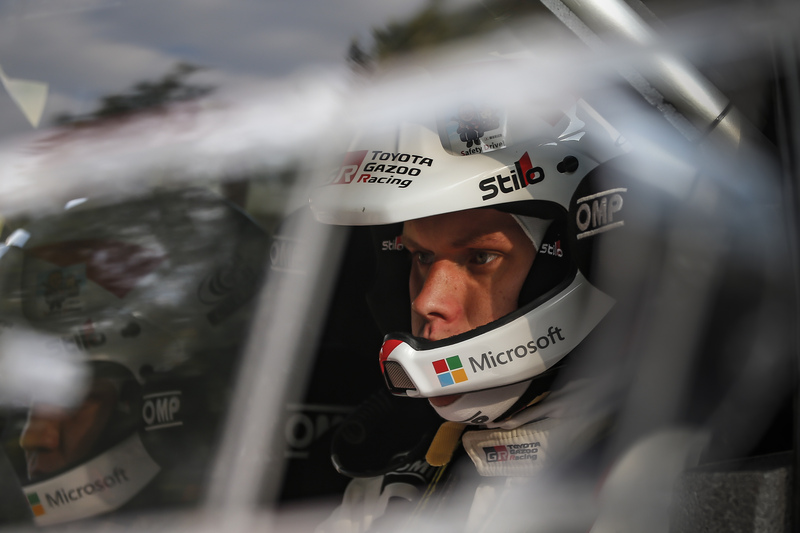 "Obviously we have had some very good results recently, but I am still taking it rally-by-rally,” says Tänak. “It is difficult to have any expectations for Turkey as we don't have a lot of know-how about the rally. Everybody is talking about it being a rough event, we will have to wait and see how it is on the recce. We certainly know that it will be hot. I think that our pre-event test in the south of Portugal was good preparation for that and we are doing everything we can to be ready and be competitive. Now there is not too much more we can do until we get there and see the stages for ourselves." "The last two rallies have been brilliant for us and our aim is of course to continue in that way, but there are many unknowns about Turkey for every team because it is a new rally,” says Toyota Gazoo Racing Team Principal Tommi Mäkinen. “I did drive in Turkey when the WRC went for the first time in 2003. I remember that the conditions were very hard and the roads were pretty rough, but we are going to a different area this time and we don't know exactly what the nature of the stages will be. We have been preparing as well as we possibly can and we had a good test last week in the south of Portugal, where hopefully we simulated the conditions that we will face very well, especially the high temperatures." Ott Tänak/Martin Järveoja, Thierry Neuville/Nicolas Gilsoul and Sébastien Ogier/Julien Ingrassia all wear Stilo WRC DES Zero 8860 helmets. Hall relaxes after Corsica with a trek up Mount Everest!